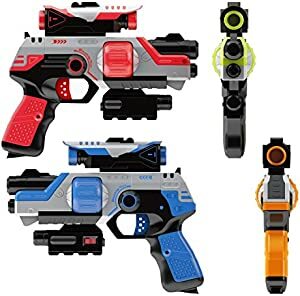 Below are the Amazon giveaways for today which feature kids stuff including this lazer tag set. Most of the giveaways give a coupon code for anyone who enters but does not win. Good luck! 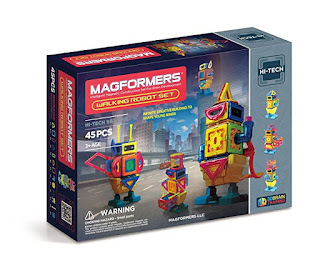 Amazon has the 45 piece Magformers High Tech Walking Robot Set on sale for $49.97 (regularly $109.99) with free shipping. 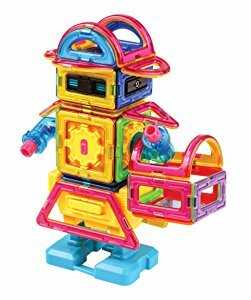 Kids can build 8 walking characters using the S.T.E.A.M engine block including the picnic, evil space villain or student robot. The set is on sale for $25.99, with a 35% off coupon bringing it down to $16.89. Michaels has both Globbies Throwable Paintballs and Play Paint on sale for $2.52 (down from $7). Available in blue, green, orange, yellow, red, pink and purple. Through September 22nd, you use promo code AB10ENTIRE for an additional 10% off your entire purchase. Kids age 2 to 7 are invited to draw a picture of themselves on their way to school for a chance to win a Play-Doh Doctor Drill ‘n Fill and Buzz ‘n Cut playset. Amazon has the Super Smash Bros. 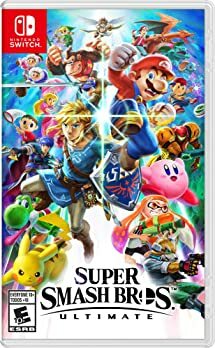 Ultimate for Nintendo Switch available for pre-order for $56.35. It will be released on December 7. Amazon Prime members will receive $10 promotional credit when they pre-order this item. 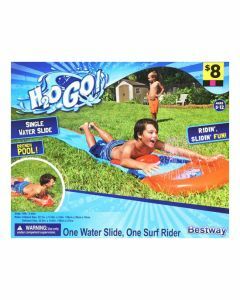 Head over to Dollar General where they are offering buy 1 summer fun item get 2 free. 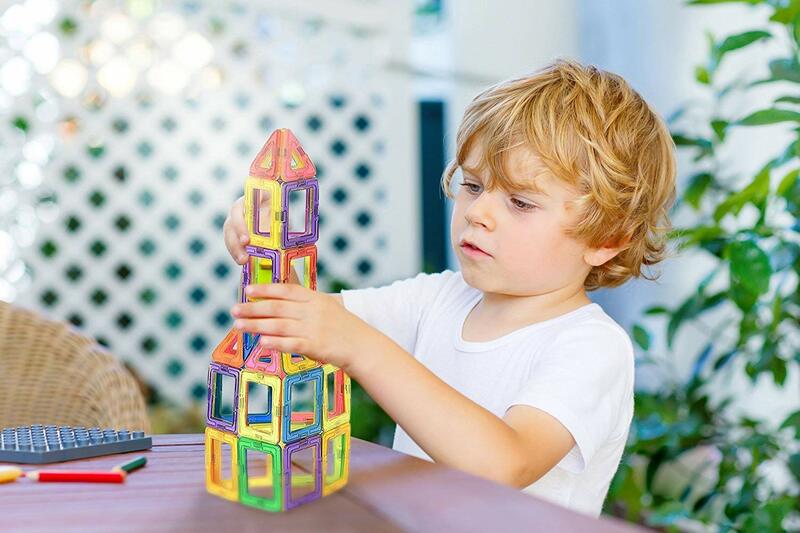 There are 26 items included in this promotion including sprinklers, toys, pools and more. 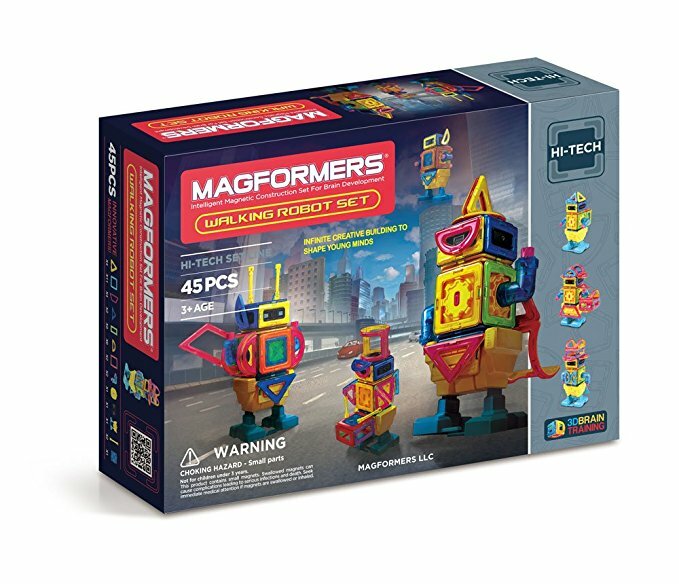 If last year was any indication this is going to be one of the IT toys for this year. Walmart has the LOL BIGGER surprise on preorder, to be released on September 25. The box has more than 60 surprises including limited editions dolls, pet and little sister. It is selling for $89.99. Best Buy has Dragonball FighterZ for Xbox One and PS4 for only $29.99 (was $49.99) with free in store pick up. 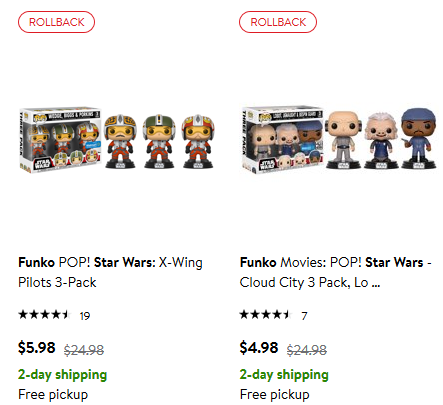 Head to Walmart where they have rolled back the price of Funko Star Wars toys. The best deals seem to be the sets. 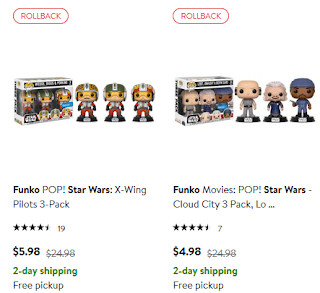 The Cloud City 3 Pack, which includes Lobot, Ugnaught, and Bespin Guard is reduced to $4.98 (down from $24.98). 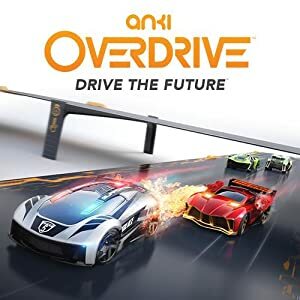 Amazon has the robotic Anki OVERDRIVE Guardian Thermo Expansin Car on sale for only $25.99 (was $49.99). Each Supercar is a self-aware robot, driven by powerful artificial intelligence, loaded with cutting-edge features, including an optical sensor, a dedicated 50MHz CPU, and two high performance motors, for precision maneuvering with 1 millimeter accuracy. Head to Walmart where a six pack of Crayola washable kids paint is on sale for $4.82 (down from $12.17). Plus you can get free in store pick up. Contains blue, red, green, yellow, brown and purple paints. 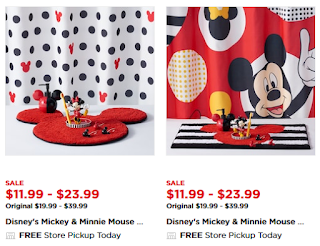 ohls has reduced the price of their Disney bathroom accessories. There are 6 items available including shower curtains, floor mats, soap dispensers and toothbrush holders. Today only, in stores and online Old Navy has reduced the price of their boys, girls and baby jeans by 50%. Prices start at $10. 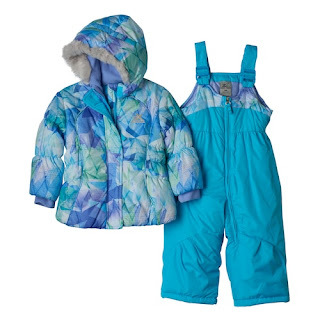 Kohls has a toddler snow jacket and pants on clearance for $18 in sizes 12, 18 and 24 months. Use code BUYNSAVE to save 15% reduce price to $15.30. If you are a Kohls cardmember you can save 30% with code CRISP30 to reduce the price to $12.60 and get free shipping with code FALL4MVC. Codes are good through September 23. Says price originally $90. Not sure who would buy it at that price.